On Oct. 16, the Texas Credit Union Commission announced John Kolhoff as their new commissioner. Kolhoff will be the sixth commissioner in the organization’s 49 year history and will succeed Harold Feeney, who is retiring at the end of the year. 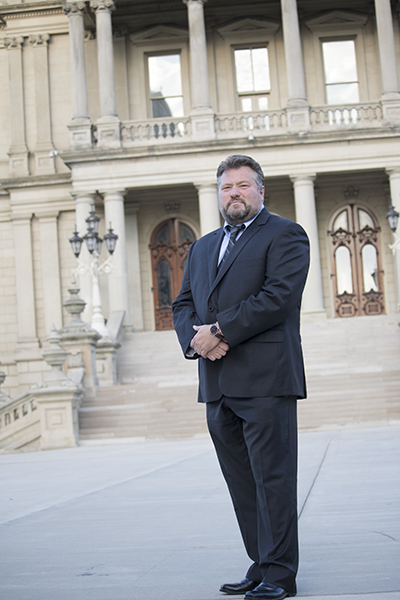 Kolhoff is currently special deputy director with the Michigan Department of Insurance and Financial Services (DIFS) and has been with the agency since 1994. As director of the Office of Credit Unions, Kolhoff is responsible for the safety, soundness and supervision of 138 credit unions with approximately $50 billion in aggregate assets. Since he joined DIFS in 1994, Kolhoff has been a huge champion for Michigan credit unions. Among many projects, he worked hand in hand with the Michigan Credit Union League during the 2016 updates to the Michigan Credit Union Act, played an integral role in the development of our white paper on internal fraud and, most recently, helped Michigan reach an interstate branching agreement with 11 other states. Kolhoff is known to many for his active role with the National Association of State Credit Union Supervisors (NASCUS), of which he is currently chairman. He has also served as a state representative on the Federal Financial Institutions Examination Council’s (FFIEC) Information Sharing Task Force. The Texas Credit Union Commission is a Texas state agency with responsibility for supervising and regulating state-chartered credit unions. The Michigan Credit Union League thanks Kolhoff for his years of service to Michigan’s credit unions and wishes him well on his new opportunity with the Texas Credit Union Commission.